At some point, you might start wondering about the concept of guardian angels. For instance, maybe someone has told you that there's one watching over you... but aren't angels more commonly found in Christianity than Paganism? Do Pagans even believe in angels at all? Well, much like so many other aspects of the metaphysical world and its associated community, the answer is really going to depend on whom you ask. Sometimes, it’s just an issue of terminology. In general, angels are considered a sort of supernatural being or spirit. In an Associated Press poll taken back in 2011, nearly 80% of Americans reported that they believed in angels, and that includes non-Christians who participated as well. If you look at the Biblical interpretation of angels, they are specifically utilized as servants or messengers of the Christian god. In fact, in the Old Testament, the original Hebrew word for angel was malak, which translates into messenger. Some angels are listed in the Bible by name, including Gabriel and the archangel Michael. There are other, non-named angels that appear throughout scriptures as well, and they are often described as winged creatures, sometimes looking like men, other times looking like animals. Some people believe that angels are the spirits or souls of our loved ones who are deceased. So, if we accept that an angel is a winged spirit, doing work on behalf of the Divine, then we can look back to a number of other religions besides Christianity. Angels appear in the Koran, and specifically work under the direction of deity, with no free will of their own. Belief in these ethereal beings is one of the six fundamental articles of faith in Islam. "After the earth had covered this generation... they are called pure spirits dwelling on the earth, and are kindly, delivering from harm, and guardians of mortal men; for they roam everywhere over the earth, clothed in mist and keep watch on judgements and cruel deeds, givers of wealth; for this royal right also they received... For upon the bounteous earth Zeus has thrice ten thousand spirits, watchers of mortal men, and these keep watch on judgements and deeds of wrong as they roam, clothed in mist, all over the earth." In other words, Hesiod is discussing beings that wander about both helping and punishing the human race on Zeus' behalf. In Hinduism and the Buddhist faith, there are beings similar to the above, who appear as devas or dharmapalas. Other metaphysical traditions, including but not limited to some modern Pagan religious paths, accept the existence of such beings as spirit guides. The main difference between a spirit guide and an angel is that an angel is a servant of a deity, while spirit guides may not necessarily be so. A spirit guide can be an ancestral guardian, a spirit of place, or even an ascended master. "Pagans do view angels as beings made of energy, fitting the traditional idea more closely. However, Pagan angels may appear in many guises, for instance as gnomes, fairies and elves. They are not as in awe of angels as some more modern religious practitioners are, and treat them almost like friends and confidants, as if they are here to serve and help man rather than be purely subservient to any one god or goddess. Some Pagans have developed a ritual to help them communicate with their angels, which involves creating a circle using the four elements, water, fire, air and earth." 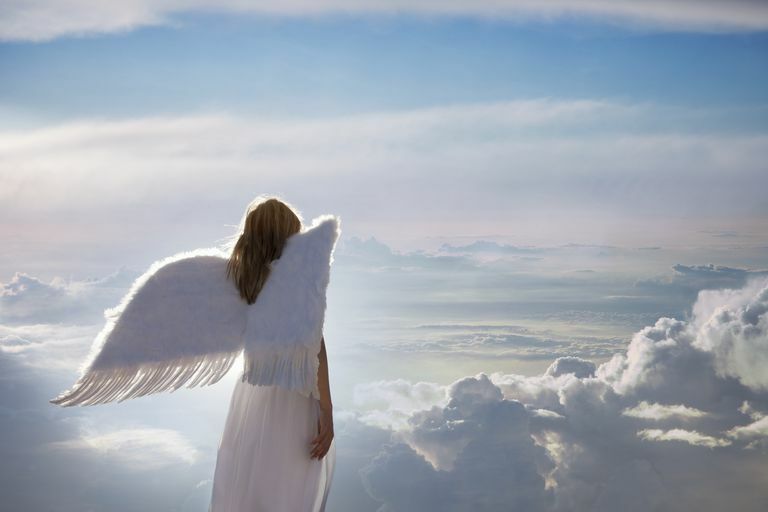 On the other hand, there are certainly some Pagans who will tell you flat out that angels are a Christian construct, and that Pagans just don't believe in them–that's what happened to blogger Lyn Thurman a few years back, after she wrote about angels and was chastised by a reader. Because, like so many aspects of the spiritual world, there is no concrete proof as to what these beings are or what they do, it’s really a matter open to interpretation based upon your own personal beliefs and any unverified personal gnosis you may have experienced. The bottom line? If someone told you that you’ve got guardian angels watching over you, it’s up to you whether you accept that or not. You may choose to accept it, or to consider them something other than angels–a spirit guide, for instance. Ultimately, you’re the only one who can decide if these are beings that exist under your present belief system.